Two men have admitted conspiracy to intercept voicemail messages following complaints from the Royal Household. However, it is not the first time such claims involving the Royal Family have made the headlines. 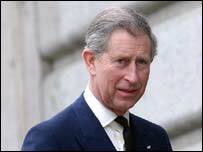 Prince Charles is no stranger to phone interception. Before he and wife Camilla married, they fell victim to the practice, as did his former wife Princess Diana. Comments made by the Prince of Wales during a telephone call in December 1989 surfaced publicly four years later. The infamous recording, which came to be known as "Camillagate", was a tape of an intimate late-night phone conversation between the prince and the then Mrs Parker-Bowles. During the conversation, said to have been recorded by a radio enthusiast using a sophisticated scanning device, the prince was heard telling Camilla he wanted to be with her, and making highly intimate comments. In 1992 a tape of Princess Diana conversing with a man was published. The conversation with the man, who was later identified as the Princess's close friend James Gilbey, dated back to New Year's Eve in 1989 and was conducted while Diana was staying at the royal Sandringham estate, in Norfolk. The recording - dubbed "Squidgygate" or "Dianagate" - features Mr Gilbey calling Diana by the pet name Squidgy and repeatedly telling her: "I love you." Prince Charles's former wife is also heard saying that her husband "makes my life torture". Cyril Reenan, a retired bank manager, later admitted recording the conversation using a radio scanner and selling it to a national newspaper. He said he accidentally stumbled across the conversation and made a recording to prove to his wife that he had really taped the princess.